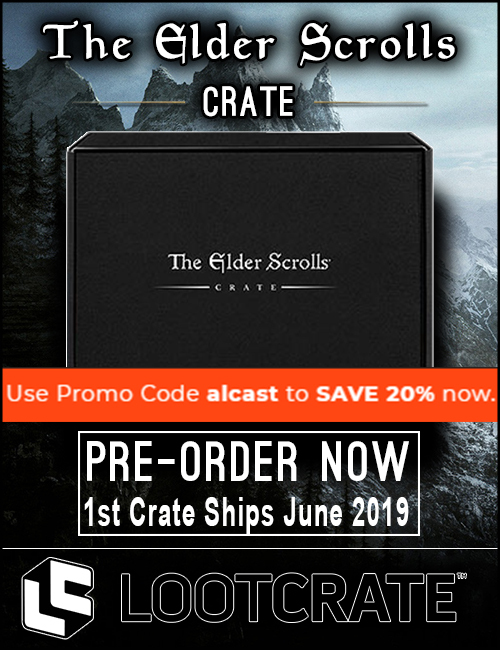 Ancient and deadly clockwork automata are spilling forth from a mysterious magicka conduit, and you and your companions must enter the rift, discover the Clockwork City’s Halls of Fabrication, and shut down the Assembly General. 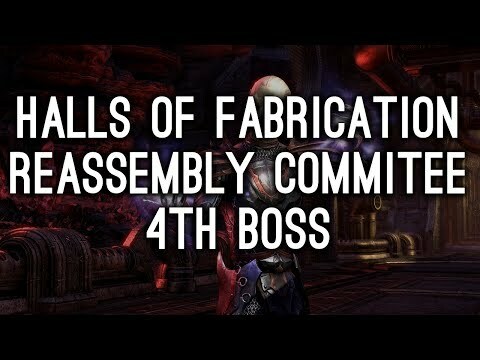 In the Halls of Fabrication, you and your team will uncover the secrets of Sotha Sil’s experiments and put an end to the Fabricant threat. You will not be alone, however, as you will be assisted by the mysterious and powerful Dunmer sorcerer Divayth Fyr himself! 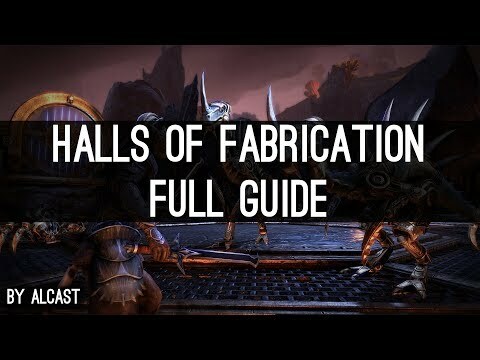 Halls of Fabrication can be found on the east side of Morrowind. 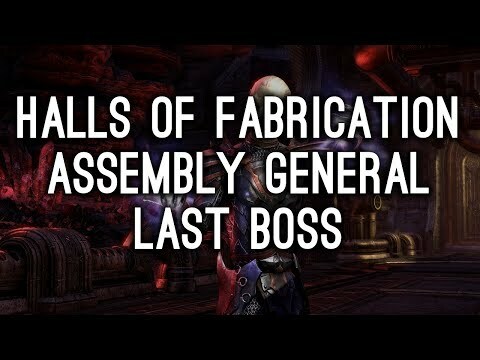 There is a lot of shock damage in Halls of Fabrication, for magicka setups make sure to run Harness Magicka and for stamina setups make sure to run Deadly Cloak (For Dualwield). I also recommend having Major Resolve and Major Ward on your characters at all times, most classes have access to them and they provide about a 10% extra damage mitigation. I am also streaming the trial a lot on my twitch stream, make sure to follow me there! 2 Tanks, 2 Healers, 8 DDs. I highly recommend running at least 1 Magicka Templar Damage Dealer with Kagrenac’s Hope set. 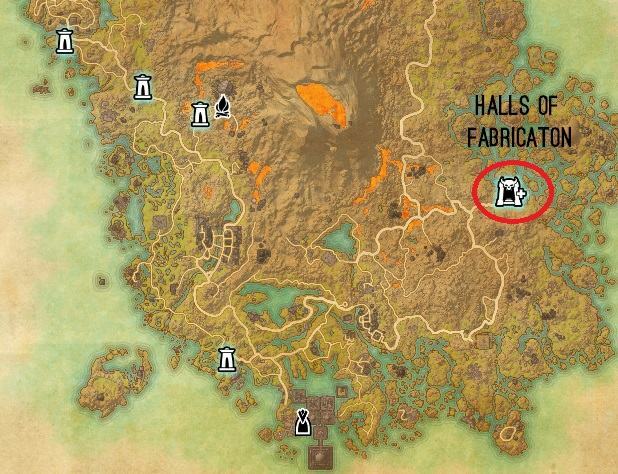 This will make ressing allies a lot easier, because in Halls of Fabrication there is a lot of things that want to kill you! I also highly recommend that the tanks run high health builds, similar to the Catalyst tank build on my website. Right at the beginning you will encounter some trashmobs which are pretty easy to kill, just make sure not to stand in the charge attack of the Kagouti, it will oneshot if you do not block. On top of the hill you will have the first real trashpack encounter. The dead Centurion in the middle will revive some Spheres, there is a total of 2 waves. Make sure to interrupt the Spheres when they are charging up their attack, if they are not interrupted fast enough the group will take a lot of damage. After that you can walk down the hill again and you will encounter some more Kagoutis and Spheres and then you are already on the first boss. 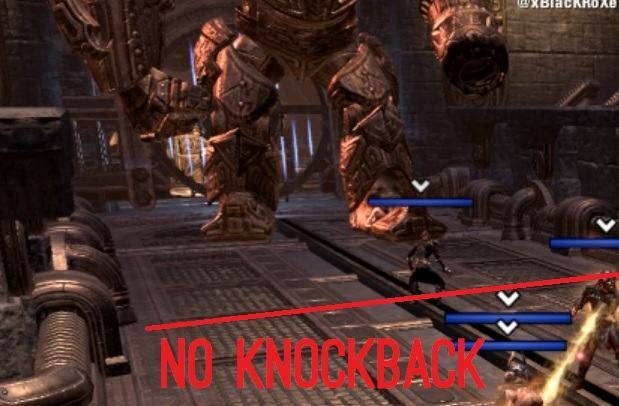 There is some very specific mechanics that you need to know to beat this boss. And there is also quite a few ways to actually kill it. Each tank has to tank one of the bosses. Now the most important thing is, they can not be connected for too long. 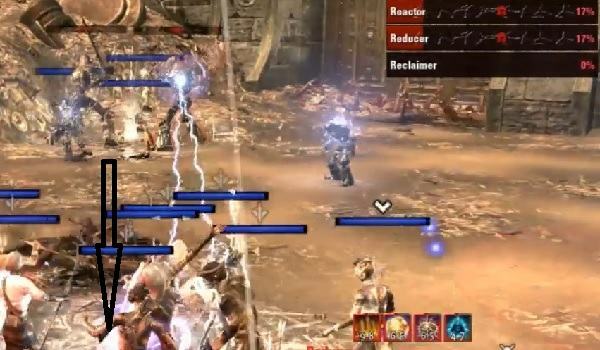 If you have them connected for over 10 seconds their damage will scale higher and higher and eventually oneshot people. You need quite a lot of people with the Purge skill, as you can cleanse a lot of the enemies DoTs from you! We basically have each boss on a side, so left and right side with each 6 players (4 DDs, 1 Healer, 1 Tank). Tanks then need to coordinate their bosses so when a sphere spawns, that you can break the shield of the sphere and one of the groups can kill the sphere. If you keep killing the Spheres you will not get any enrage phase. Just make sure to be careful when the adds spawn, those little mobs can hurt quite a lot, but they can be rooted with Talons for example. 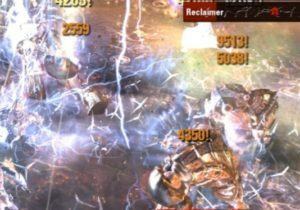 Damage Dealers and Healers need to make sure to not stand between the two bosses, as they shoot sparkles over to the other group. Plus if the beam hits you, then you are pretty sure ripperoni pepperoni. It will also leave a DoT on you that deals a small amount of damage, it is purgable. The Boss puts a nasty bleed & healdebuff on the tank, you have to make sure that your healers apply enough heals to heal through or purge it. Spheres The Spheres that will spawn after some time are the groups biggest enemy, as they are constantly applying poison DoTs on the players. The Poison DoTs can be cleansed, so I recommend at least 3-5 Players in the group that slot Purge and use it every few seconds as there will be a lot of Poison DoTs! In Addition to that, they also have a Snipe attack which oneshots most players, it is dodgeable and interruptable. Make sure to have 2 DDs assigned to interrupt the Spheres Snipe attack with Crushing Shock. Once 8 Spheres spawned, they will automatically enrage. Once they enraged their Snipe will charge faster, which means your DDs have to be faster with interrupting. Once one of the bosses is dead, the Spheres will enrage and it is very important that one of the Healers or DDs keeps using Purge every 2 seconds as the Poison DoTs will deal immensely more damage. The second bossfight starts almost after the first one is dead. You have to kill some trashmobs and then the second boss is going to spawn in the middle of the room. This is one of the more challenging bosses in this trial, it will take time to get used to the mechanics. Spread out around the boss, avoid unnecessary damage. As soon as the add spawns it will be tanked near the boss, DDs still focus on the boss and the Centurion will die from the AoE. If not enough AoE dps then make sure to have your ultimates ready when the add spawns or focus it down. 30 seconds into the fight the NPC will shout to go upstairs. 4 DDs with shield and self-heal use the portals on the edge and teleport up, so make sure you assign a DD to each platform before you start the fight. Heavy Attack with Staff Damage on tank, spawns sparkles around the boss that stun, you can block the stun. If you get hit by the steam you also get a healing debuff which can stack up to 10 times, which causes you to basically get 0 healing received, especially the tank has to be careful. 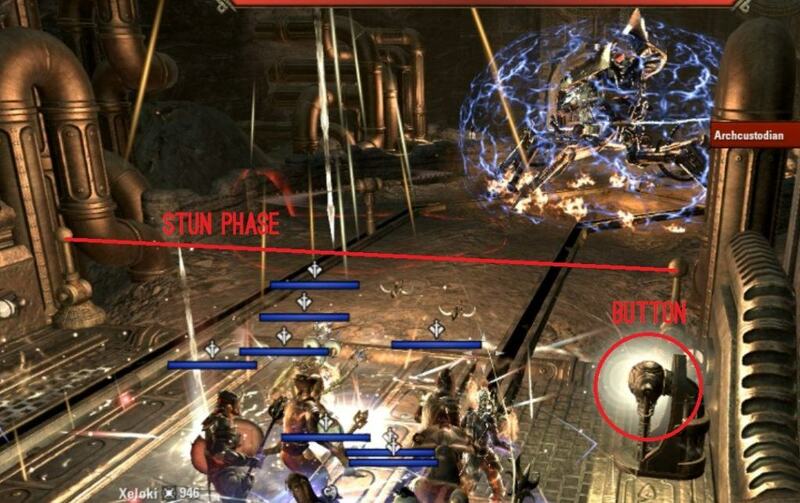 When noone is in close proximity of the Centurion, the add will start spinning around and deal damage, if someone gets close the add will stop doing it. Shades (from 75% health) Every 40-45 seconds Boss disappears and gets replaced by 4 shades standing around the tank. Tank is not allowed to move, stands on a small green area. Two Damage Dealers have to focus it so it dies as fast as possible. 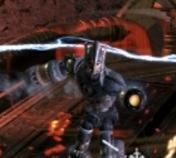 Charged Refabricated Centurion – (from 40% health) Activates every 30 seconds, “decharges” himself and dies eventually. A DD can slot taunt and kite this centruion around the edge of the arena and it will eventually die as it basically kills himself. 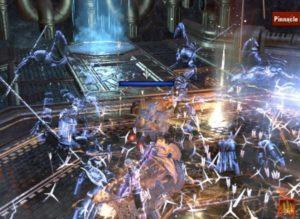 Or the off-tank can take the Charged Refabricated Centurion and the main-tank can take the boss + the normal centurion. Make sure 1 DD also has Elemental Drain, to debuff the Spheres with Major Breach so they die faster. All 4 DDs focus on the same sphere and then move on and kill all of them. Once they are all killed, go back to your original positon (North, South, East, West) and one person calls out “PRESS NOW” and everyone presses the button. After the second Boss is killed, you have to use the teleporter into the next area. Now, if you wan to play it save go with the full group to the right side and kill all the Spiders. Once you reach the boss you turn around and go to the other way till you end up on the boss again. Or, you can send one of your tanks to the right side so he can pull all the spiders with him and you meet up on the left side, one person will not aggro the Boss. You can run past him and he will just wait there if you are fast enough and all the Spiders will still follow you. The rest of the group goes to the left side and pulls all the Spiders to a position where you can savely kill them with the others from the off-tank. After those Spiders are dead the next bossfight is already waiting. This bossfight is a bit special. You can only damage the boss during the “stunphase”. As long as the boss has his shield up you will not be able to damage him at all. You need to press the button on the right side to activate a “shockline” so he walks through it and the boss will get stunned for approx. 15 seconds. During that stunphase you need to dish out as much damage as possible. Make sure to always stand behind the line, if you are too far ahead the shockline will drain your magicka. One boss is back up two adds will spawn, which you need to bring to your next stunpostion so you can kill them there quickly. Here it is very important, that you place your DoTs already on the boss before he gets stunned, to get maximized damage. If adds get too close to the bosses shield, they will get a shield on themselfs and will be harder to kill. Everytime you press that button to activate the stunphase, the boss will move faster to the next platform. Make sure to activate the Button early enough, you do not want to miss the stunphase. 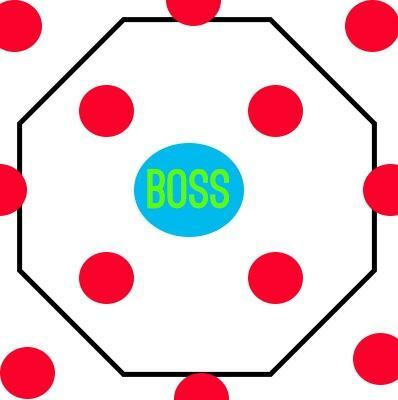 Place all your DoTs and ground based DoTs on the boss already, so you can go full out on damage when the boss gets stunned. Everytime you move to a new stunarea, make sure to bring the spawning adds along so you can kill them there. Make sure not to forget to debuff the boss for each stunphase. Everytime after the boss recovered from the stun, two adds will spawn. Its either a Two hander or a Dualwield add. Make sure to damage them as much as possible before the boss arrives at the stunphase. We always stack on the fast spinning blades. Because it takes less time for the blades to get through so you will take less damage for that short amount of time. If you are too far away from the boss, the boss will shoot shockdarts at you and you will most likely die pretty fast. Once you figure out how to coordinate the adds with the boss and nuke them down, you should have no problems killing the boss. Just remember, everytime you press the Button, the boss will move faster to the next stunphase. You will have to go through a hallway with blades and some adds. Now there is a new type of add called Capacitor, we like to call him “Megaman” , he has an AoE attack that will be placed on a person and then it slowly grows and exploded. If you do not block it you will get stunned and it starts draining magicka. So make sure to learn the animation of that attack. After that hallway you will find yourself in the junkyard. You have to kill the big blue Centurion. Once he is close to his death he will revive the spheres around him. Make sure to send a DD to each of the spheres to interrupt them with their shock charge attack. After those are dead, repeat the same thing with the next Centurion and a few of the adds. Once those are dead the big door to the fourth boss will open up. This is the most difficult bossfight in the whole trial. It requires a high amount of coordination from tanks and then group. I highly recommend watching the bossfight video and the video guide, so you can really understand the fight. The tanks will be busy with the two Two Hander bosses. we split into two groups so we can both dps the Reducer and the Reactor. Stun phases At 69%, 39% and 19% you have to bring all bosses to the reclaimer in the middle to stun them. It will show you a huge shockbeam between the boss, so you know they are connected. We immediately focus the bombers once they are spawned, so you can kill them before they attack someone. Make sure to place all AoE around the reclaimer, so the bombers die pretty quickly. We save always 2 Destro Ultimates for this phase, so the bombers will definitely die. As soon as the bubbles start you can cross taunt the bosses and go on with your usual business. Try to keep the bosses as steady as possible so they do not move a lot. If they move too much you will loose damage and they might get connected which results in a lot of unecessary damage. We always drop all bosses to 27% first and then start dropping them all to 22% and then bring them together. Make sure to find a “sweetspot” where no bombers explode during the execute phase, there are some very small spots where they do not overlap and you should be save. Bring all the bosses together when they are around 22% so they get stunned at 19%. We usually do that right after the Reclaimer Bomber phase ended. The two Tanks have to bring the other two bosses away from the middle to a savespot, like in the video. Very important here is that they can not drop below 15%. Once they drop below 15% they will connect the shockbeam to each other and overcharge and most likely oneshot your tanks. If you manage to kill this boss, you will have a happy time on the next one, believe me. Stomp Every now and then he raises his left foot and stomps it on the ground, everyone in melee range has to block, otherwise you will get knocked back. You can find Shocknodes upstairs, they deal quite a lot of damage so make sure to avoid those if you are upstairs. A magicka setup has to stand on the right side of the room. If noone stands up there the fire will hit the group. If someone is up there the fire will only hit this person. We place our off Tank on that side so he can take care of the blade. If noone stands up on the left side the blade will hit the group and almost immediately kill everyone in seconds. 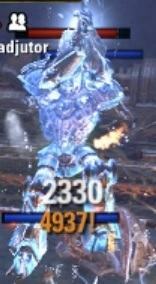 Do not damage the boss during the recharge phase, he gets a huge shield and if you damage him he will shoot shockflares at you which deal an insane amount of damage. You can either nuke them down together with the boss, or kill them seperately. Like in the video displayed our tanks positions the adds next to where the sphere will spawn so we can drop all our ultimates on them and they die fast. 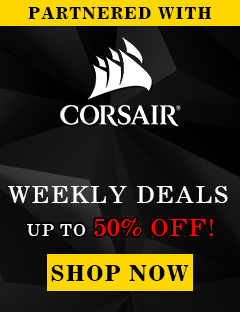 Takes a bit of time to learn how to get the adds to stack there. Our Maintank usually taunts the Two Handers, while the Offtank tries to position the Megamans. Megamans have their Draining Shock again, so make sure to block that otherwise it will drain your magicka and you get stunned. If people die, it can be that Fascimilities spawn. Those are copies of your characters setup. 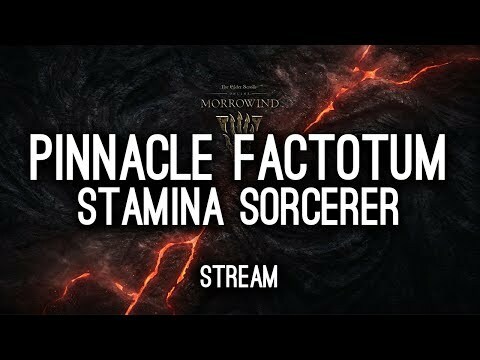 The most dangerous one is the Magicka Sorc Fascimilitie, their mines almost oneshot players so be very careful. The Maintank should taunt the Fascimilities so they will die in AoE. at 30% and 27% you will again get the addspawns.